An oversized New York City treat. Photo courtesy of Goldbely. You can order just about anything on the internet these days, so it should come as no surprise that many of New York City's iconic restaurants, bakeries, and delis will deliver to your doorstep. 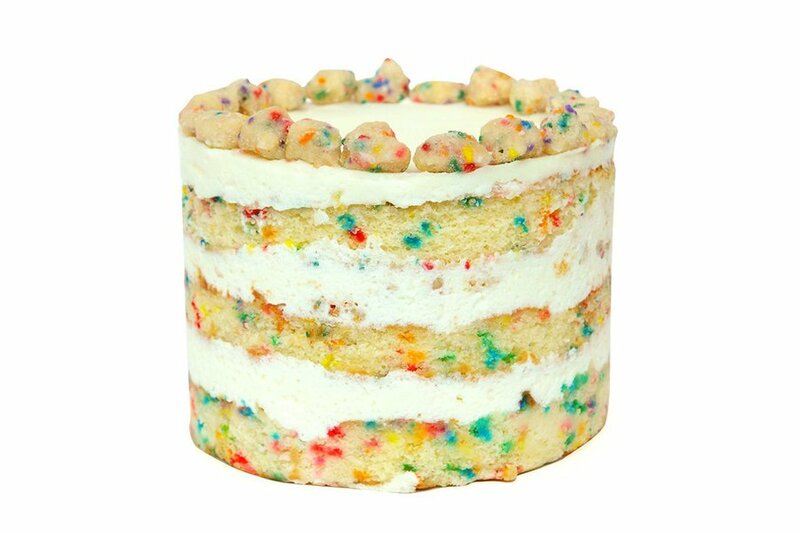 From Milk Bar's Funfetti-inspired birthday cake, to a slice of NYC's finest, online marketplace Golbely sells "all things delicious" in NYC and beyond, fulfilling the food fantasies of curious eaters all over the U.S.A. Enjoy these 6 classic New York City eats from the comfort of your home. 8 New Pantry Staples from Across the U.S.A.
Momofuku's Christina Tosi turned Milk Bar into a laboratory for offbeat baked goods, beverages, and ice cream. Get your sugar rush with a Funfetti-inspired vanilla rainbow cake layered with cake crumbs and vanilla frosting. 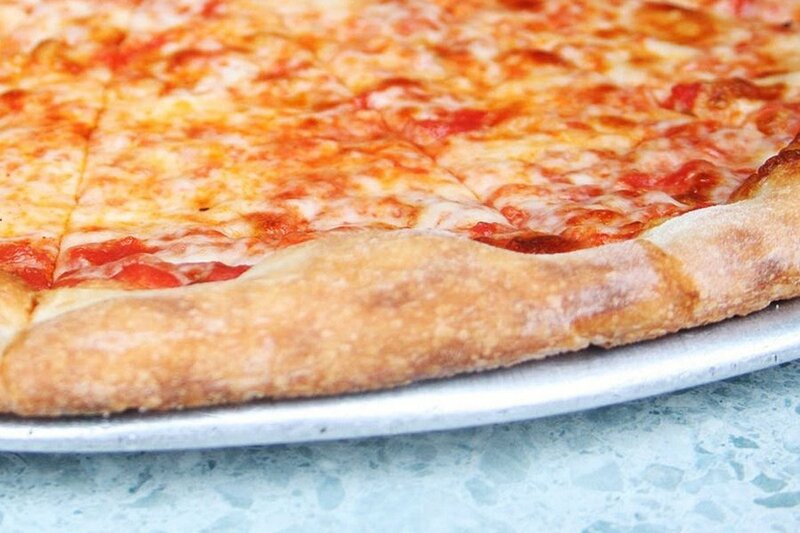 New Yorkers take their slices quite seriously, and you can't go wrong with a thin-crust pie from this legendary pizza joint. Can you taste the special ingredient? It's New York City tap water. 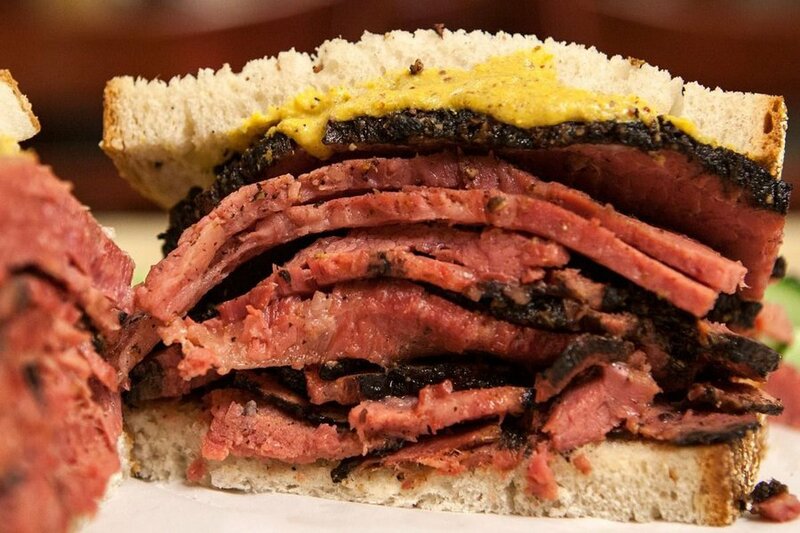 For the quintessential Jewish deli experience, order the ingredients for NYC's most famous sandwich. Since 1888, the iconic deli has been serving Reubens to the masses. Each kit comes with your choice of corned beef or pastrami, slices of fresh-baked rye bread, their signature Russian dressing, swiss cheese, and sour pickles. 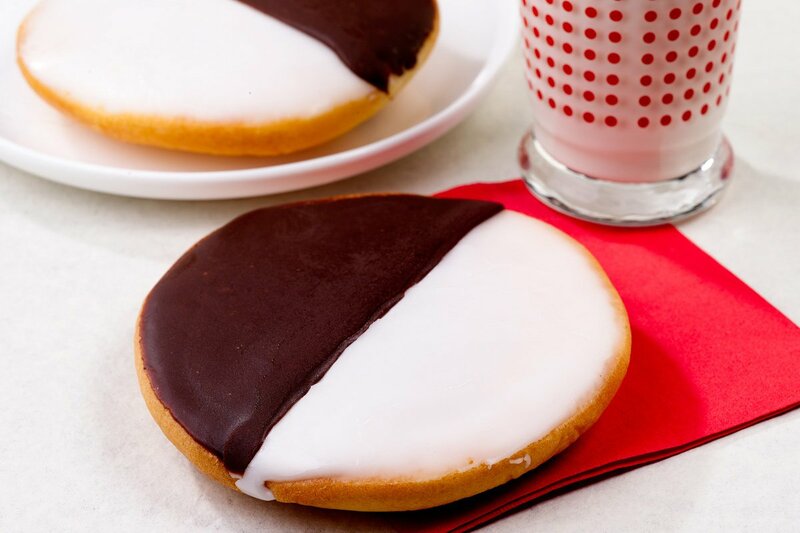 More cake than cookie, the iconic oversized treat is covered in dark chocolate and vanilla icing. You can find them all over the city, but you can't go wrong with this version from the 70-year-old bakery. The small wholesale pie business has grown into a true New York institution known for brunch offerings and delicious pies. 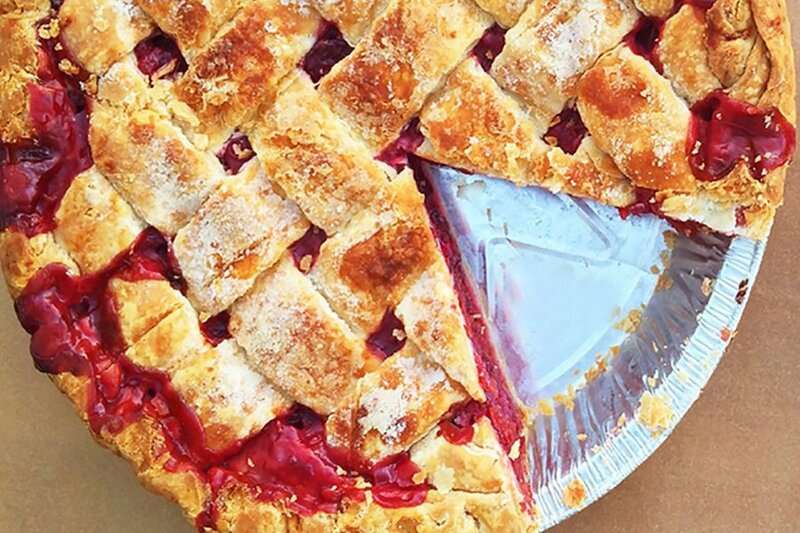 A flaky hand-rolled organic butter crust is filled with fresh sour cherries from Michigan, baked to perfection, and delivered to your door. 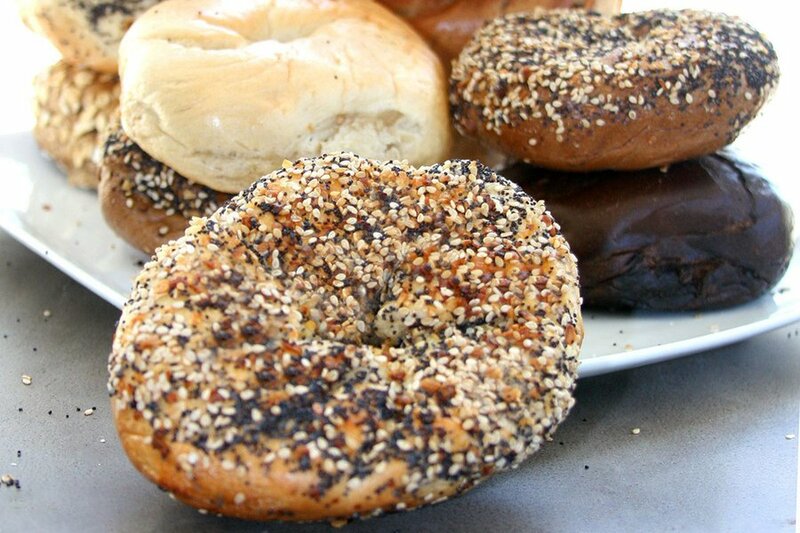 Cut and rolled by hand, the giant chewy bagels are a New York City breakfast staple. Flavors include plain, poppy seed, cinnamon raison, and everything.